Warren Buffett is poking fun at President Trump and Republicans in Congress over doubts that they can come together on taxes. “Any politician that can’t pass a tax cut is probably in the wrong line of business,” Buffett told CNBC on Tuesday. The world’s second-richest person said Republicans “don’t want a shutout” in their first year controlling both houses of Congress and the White House. For those reasons, Buffett thinks tax cuts are likely. But Buffett, who supported Hillary Clinton in the 2016 campaign, isn’t so sure that American businesses need the tax cuts that Trump is calling for. 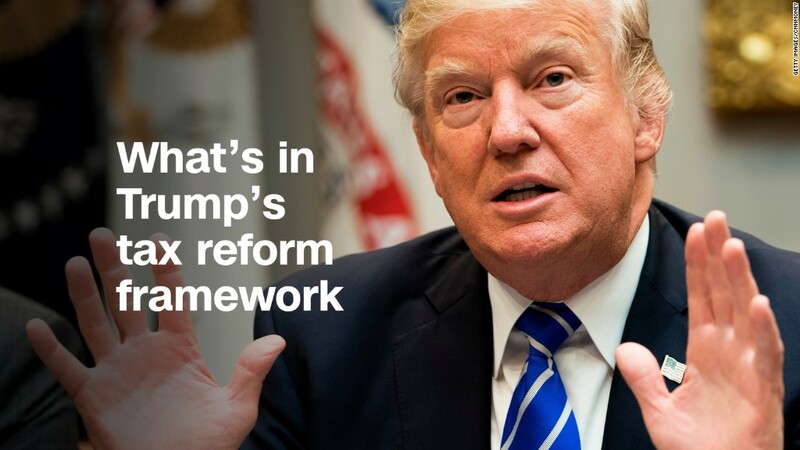 The GOP tax framework rolled out last week proposes slashing the corporate tax rate to 20% from the current 35%. Republicans say reducing taxes will make the United States more competitive with other major economies. Buffett said that his Berkshire Hathaway(BRKA) holding company owns 60 or 70 businesses, but none of them are “noncompetitive in the world because of the corporate tax rate.” He noted that American businesses earn “extraordinary” returns compared with history and other countries. But Buffett told CNBC he worries about a plan to offer companies a one-time low tax rate to entice them to bring home the cash they are hoarding overseas. Buffett says that might just encourage more companies to stash money outside the United States in hopes of getting a tax break. “People may find their nose growing” after making some of the arguments for repatriation, Buffett said. Buffett also knocked the GOP’s plans to eliminate the estate tax, saying such a move would be a “terrible mistake” and could lead to dynasty-building. The tax applies only to estates worth more than about $ 5.5 million, or $ 11 million for couples. “The wealthy now are so much wealthier than they were 25 years ago,” he said.